Hyundai Solar began in 2005 by Hyundai Heavy Industries (HHI), a popular player in the heavy industries sector, with production centers in Eumseong, Korea. 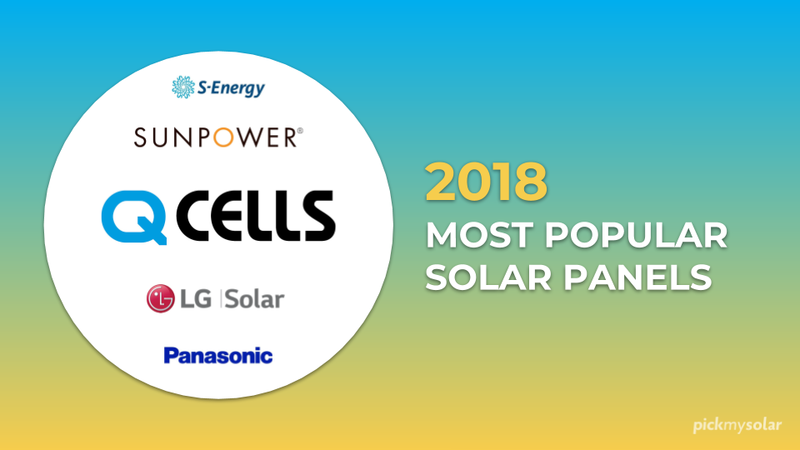 As the world’s leading shipbuilding corporation, Hyundai is also the largest solar cell and panel manufacturer in South Korea and has a solar cell production capacity of 600MW per year. Hyundai is considered as an economical option to homeowners looking for a low-cost solar installation. They provide high-quality PV products to more than 3,000 customers worldwide. PERL Technology: Hyundai’s panels are made up of the passivated emitter, rear locally-diffused (PERL) solar cells that are highly efficient. PERL cells can improve energy conversion efficiencies of silicon solar cells up to 24.0% under the standard global solar spectrum and up to 46.3% under monochromatic light. PERL technology provides better performance in low irradiation scenarios and maximizes installation capacity in limited space. Light-Induced Degradation (LID) is a loss in cell efficiency arising in the very first hours of exposition to the sun, with Crystalline modules. 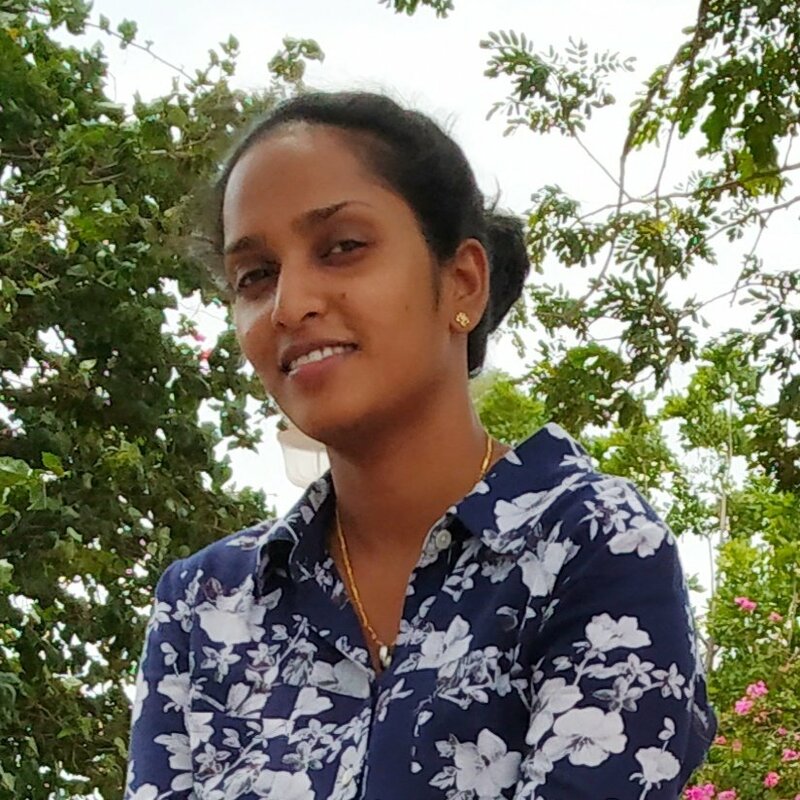 Potential Induced Degradation (PID) occurs over a certain period after installation as the modules are in strings operating at high voltages, combined with very warm and humid weather. Dust and glass degradation (releasing Sodium ions) may catalyze the PID phenomenon. Both LID and PID are strictly eliminated in Hyundai cells to ensure higher yield throughout its lifetime. Mechanical Strength: Hyundai’s tempered glass and reinforced frame design can withstand rigorous weather conditions such as heavy snow and strong wind. Reliable Warranty: As a global brand with powerful financial strength, Hyundai provides solid bankability and a good pair of warranties for their solar products. 12-year product warranty on materials and workmanship. In addition, Hyundai modules have a 30-year performance warranty with 97.6% in the initial year and a linear warranty after second year (0.6% annual degradation, 80.2% is guaranteed up to 30 years). What Are the Different Hyundai Solar Modules? 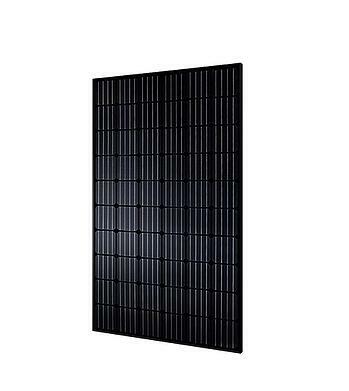 The RG series is a 60 cell mono crystalline type solar panels that can be used for both residential and commercial applications. The RG series has four models - HiS-S295RG, HiS-S300RG, HiS-S305RG & HiS-S310RG. Depending on the models that you choose, the RG series panels delivers output power of 295W, 300W, 305W and 310W . The advanced PERL technology makes Hyundai panels high efficient and generates more power in low light scenarios. Depending on the model you choose, the RG series panels can deliver a 18.9% of efficiency. As LID and PID are eliminated the Hyundai panels can give a higher yield during its lifetime. These panels are highly durable as they are mechanically tough and are corrosion resistant. The panels are guaranteed for quality and safety as they are manufactured in Hyundai's R&D center which is an accredited test laboratory of both UL and VDE. 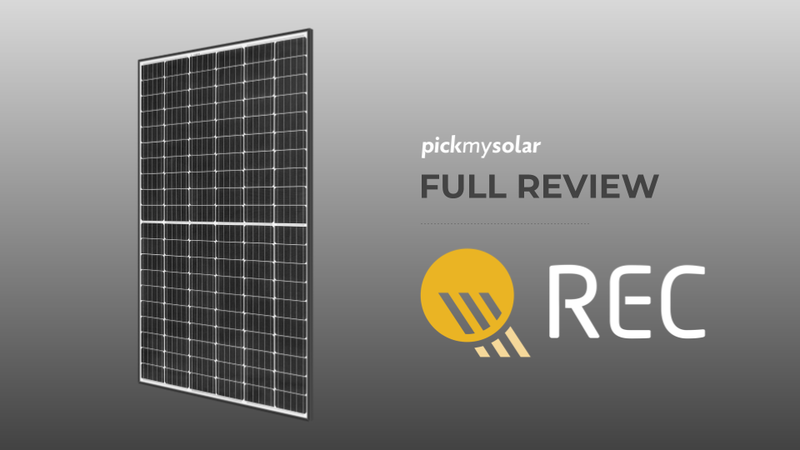 The RG Black series is a 60 cell mono crystalline type solar panels that is ideal for residential applications. The all black module with sleek design gives a better appearance. The RG Black series has four models - HiS-S290RG(BK), HiS-S295RG(BK), HiS-S300RG(BK) & HiS-S305RG(BK). Depending on the models that you choose, the RG Black series panels delivers output power of 290W, 295W, 300W and 305W . The RI series is a 72 cell mono crystalline type solar panels that is ideal for commercial and utility applications. The RI series has six models - HiS-S345RI, HiS-S350RI, HiS-S355RI, HiS-S360RI, HiS-S365RI & HiS-S370RI. The advanced PERL technology makes Hyundai panels high efficient and generates more power in low light scenarios. Depending on the model you choose, the RI series panels can deliver 18.9% efficiency. 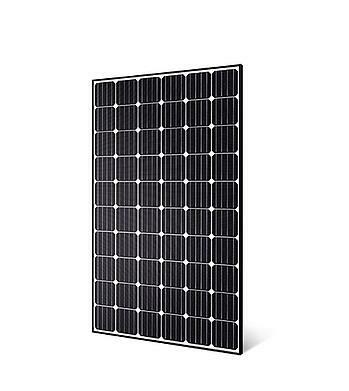 The KI series is a 72 cell mono crystalline type solar panels that is suitable for utility applications. It provides a maximum system voltage of 1,500V and reduces Balance of System (BOS) costs. The KI series has eight models - HiS-S345KI, HiS-S350KI, HiS-S355KI, HiS-S360KI, HiS-S365KI, HiS-S370KI, HiS-S375KI, & HiS-S380KI. The advanced PERL technology makes Hyundai panels high efficient and generates more power in low light scenarios. Depending on the model you choose, the KI series panels can deliver 19.4% efficiency. 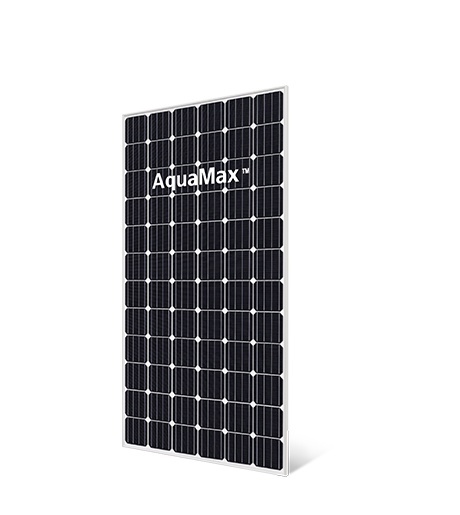 The WI series panels are suitable for floating solar plants. It provides a maximum system voltage of 1,000V and has strong resistance to moisture. The advanced PERL technology makes Hyundai panels high efficient and generates more power in low light scenarios. The WI series can deliver efficiency up to 18.9%. Panel efficiency refers to the amount of sunlight that reaches a solar cell that is actually converted into electricity. For conventional silicon-based panels, this is between 14-22%. The efficiency of Hyundai panels depends on the specific model that you choose for your system. Generally, these panels have an efficiency rating of 17.2% to 19.4%. If you're looking for panels suitable for residential purposes, HiS-S310RG offers a higher efficiency of 18.9%. For utility purposes, KI 380 offers a class leading 19.4% efficiency. All solar panels receive a nameplate power rating that indicates the amount of power they produce under industry-standard test conditions. Generally, most solar panels on the market have power ratings in the range of 200 to 350 watts. 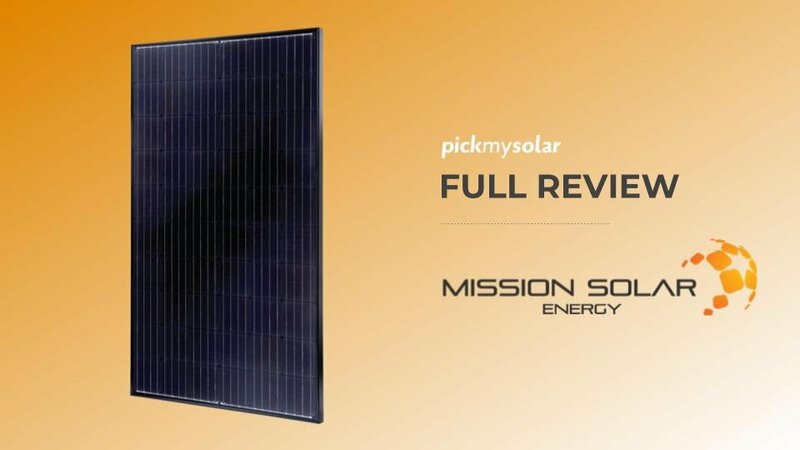 A higher power rating means that the panels are more effective at producing power. 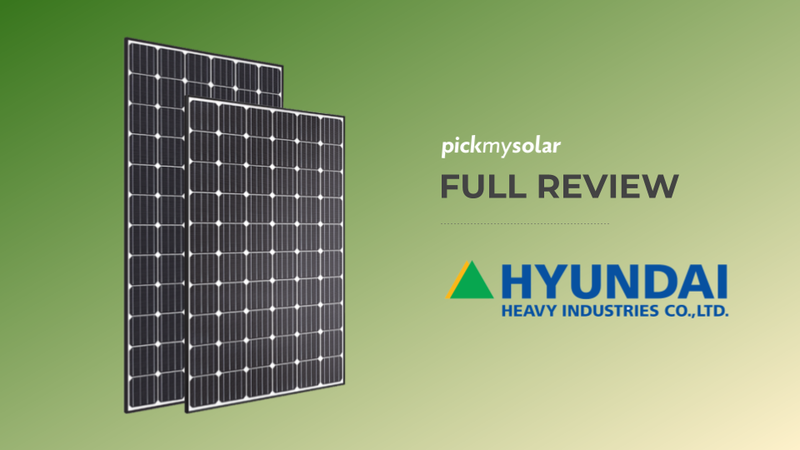 Hyundai panels offers have power ratings in the range of 295-380, making them suitable for all residential, commercial and utility applications. While considering a solar panel brand, make sure that the company you chose provide a reliable warranty. Hyundai provides a 12-Year product warranty and a linear 30-Year performance warranty. Each solar cell technology comes with unique temperature coefficients and has a direct influence on the power output of the PV modules. An increase in the temperature of a solar panel decreases its power output. A temperature coefficient of -0.5%/deg C indicates that for a one-degree rise in the temperature, the power output from the PV decreases by half of 1%. Hyundai panels have a temperature coefficient of -0.34%/°C under standard test conditions. The price per watt for Hyundai solar modules range from $2.83 - $3.10. If you are looking for even more ways to lower the cost, try out our competitive bidding platform to help drive the price down. A 5 KW system with Hyundai panels would cost anywhere from $9,905 to $10,850 with the 30 percent federal tax credit for solar. Hyundai panels are considered a economical option with a solid performance and efficiency. You can think of them in the same level as their car-making business! Is Hyundai Solar Right for You? Hyundai has a wide range of good quality solar panels. But the best way to decide is to review multiple quotes with different solar equipment options. 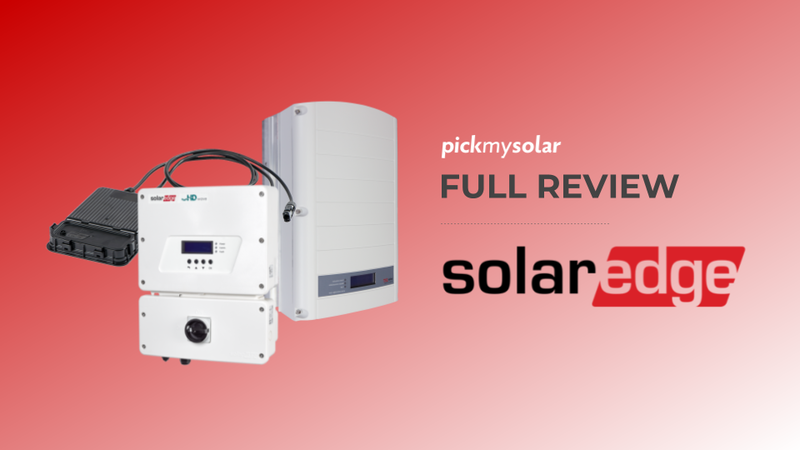 You can compare all of your options on Pick My Solar’s Marketplace, you’ll find the right combination of price and quality that meets your needs. Be sure to review our guide on the best solar panels to understand the key metrics you should use to compare solar modules against one another. Get in touch with one of our experienced Energy Advisers to see if Hyundai is right for your home!